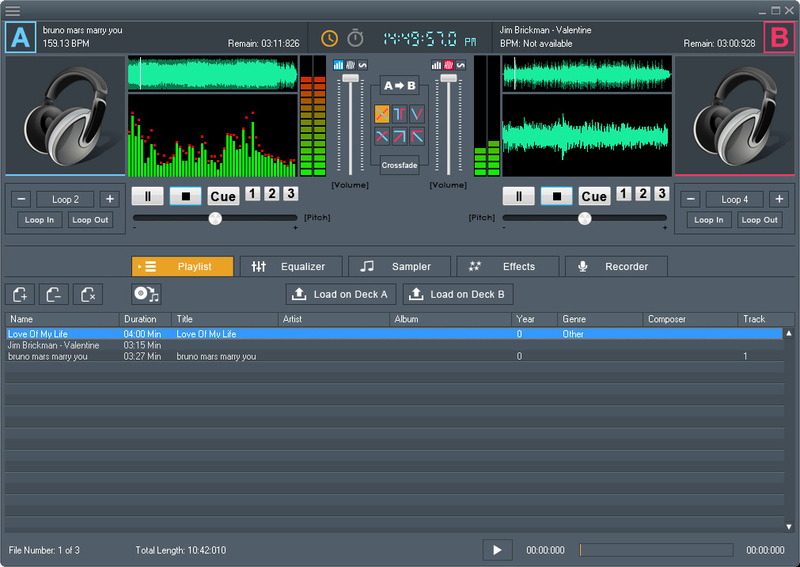 DJ Mix Studio is full-featured and complete audio mixing software for both professional and novice DJ. 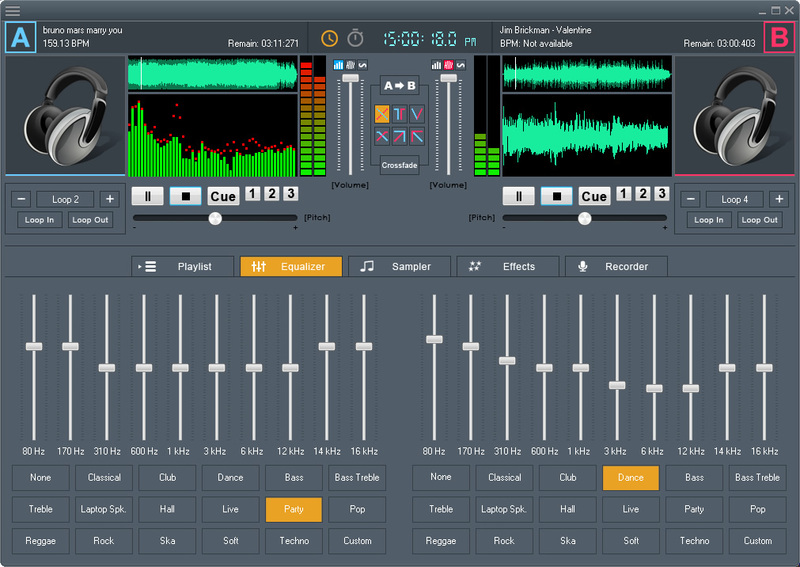 Its innovative feature set, and user friendly interface will insure that you perform great audio mixes.
" 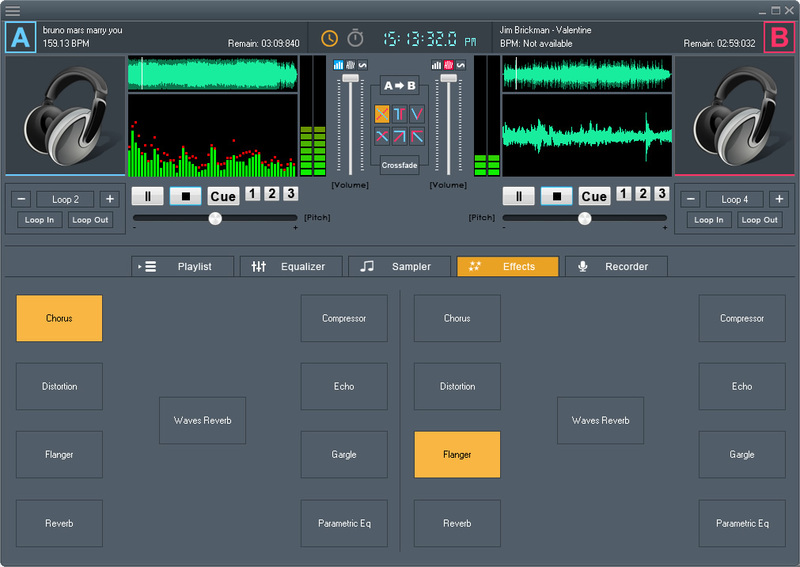 Take this feature-packed audio mixing app for a spin and try your hand at creating innovative sets, regardless of whether you are a beginner or seasoned DJ "
One of the best professional DJ software on the market designed for both Professional and novice DJ. 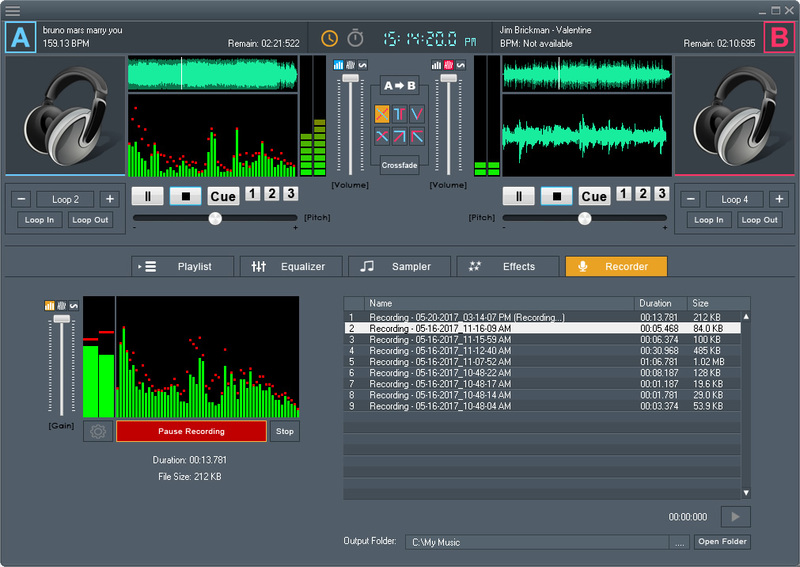 It offers a wide range of awesome features that a real DJ needs. 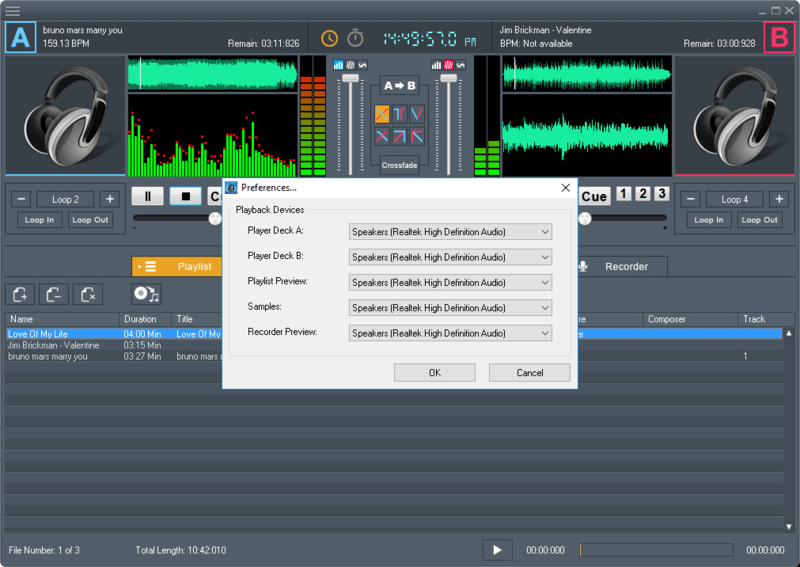 Mix tracks and apply manual or automatic crossfading with selectable styles to spice up your mixes. Instantly loop a 1/8, 1/4, 1/2, 1, 2, 4, or 8 beat segment. Cue up important points of a track and easily accessible with the click of a button. Apply equalizers to tracks or mixes with the ready predefined presets (Classical, Club, Dance, Bass, Bass Treble, Treble, Laptop Speaker, Hall, Live, Party, Pop, Reggae, Rock, Ska, Soft, Techno, Custom). Apply effects (Chorus, Distortion, Flanger, Reverb, Waves Reverb, Compressor, Echo, Gargle, Parametric Eq.) to tracks or mixes with the ready predefined presets. A powerful track management library to manage and organize the tracks. You can create or load from the common playlist formats M3U, PLS, WPL and PDJ. 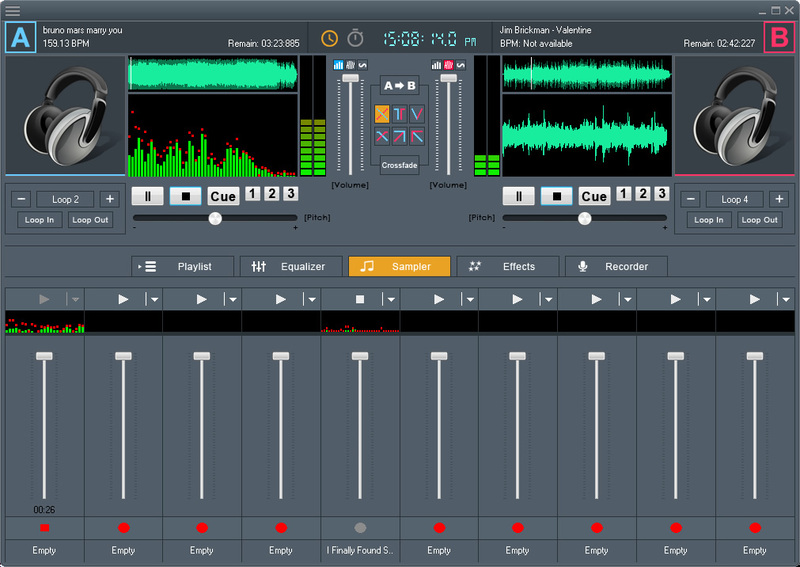 With so many features offered, DJ Mix Studio provides the most complete solution for your DJ mixing task. 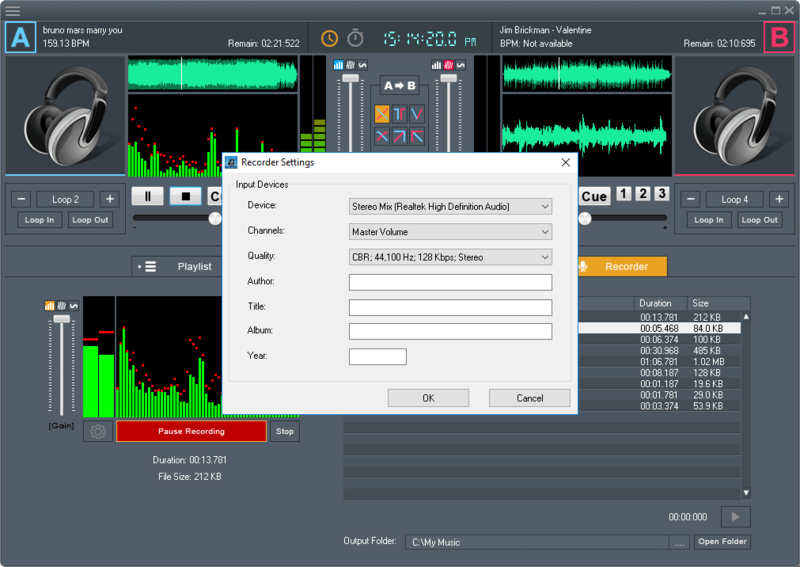 Record mixes or audio stream from any sources like Line-in, Microphone and save as MP3 format. Route them to any deck and have full control over it. Recorded tracks are archived in the library for fast access. DJ Mix Studio support major audio formats like MP3, WAV, AC3, OGG, WMA, FLAC, AAC, M4A, APE, VOX, VOC, AIFF and more. View or change the tag description of an audio track. 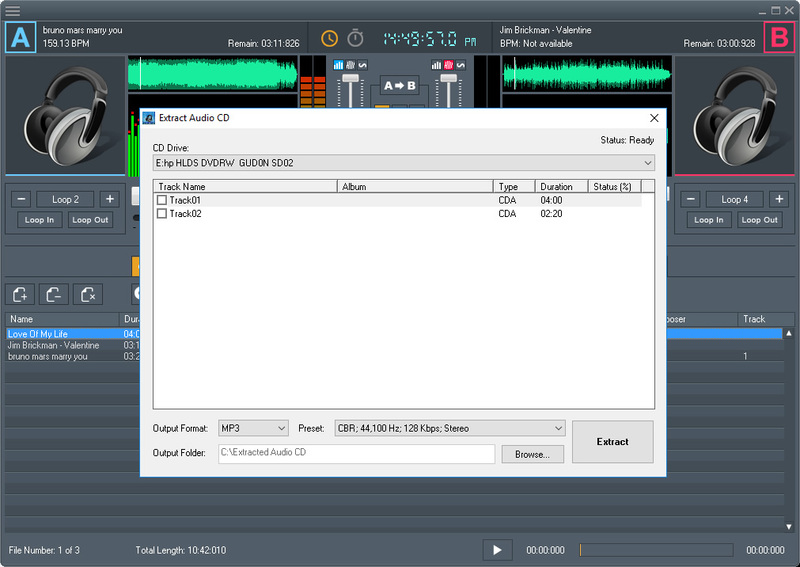 Extract Audio from Audio CD and save as MP3 format. Play, Pause, Seamless Loop, Pitch audio tracks with interactive waveforms preview and automatic BPM beat matching. Supports dual-sound card with one intended for headphone monitoring or external mixer use. 10 powerful DJ sampler decks with built-in recorder.